Lasix (Furosemide) is a diuretic medication used to reduce fluid retention and swelling as a result of conditions such as heart failure, cirrhosis, chronic kidney failure, and nephrotic syndrome. Lasix (Furosemide) works by blocking the absorption of salt and fluid in the kidney tubules, causing a large increase in urine output. 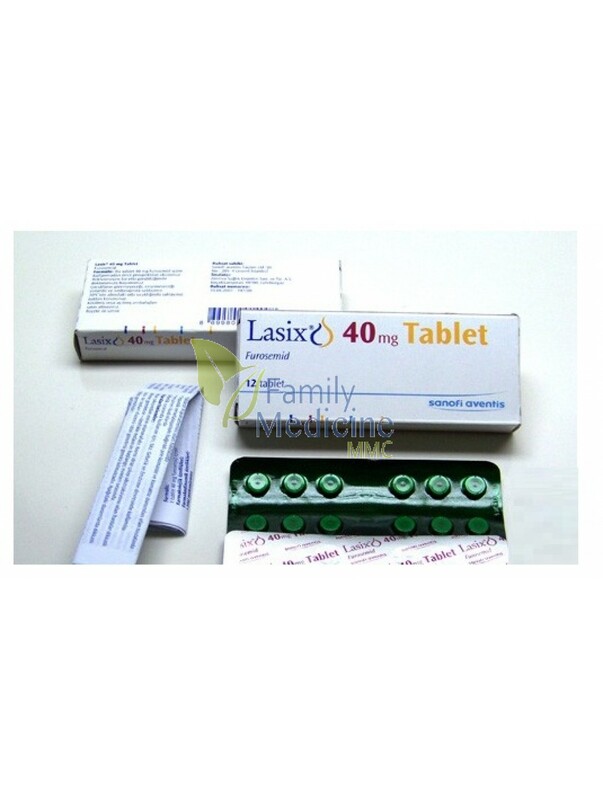 Typically you will be prescribed between 20mg and 80mg of Lasix (Furosemide) per day. However, as the reduction in fluid occurs your physician may recommend a change of dosage regime. You should only use Lasix as directed by your physician. With the increase in urine output some of the more common side effects reported after taking Lasix (Furosemide) include low blood pressure, and water and electrolyte depletion. Less common side effects include jaundice, ringing in ears (tinnitus), light sensitivity, rash, pancreatitis, nausea, abdominal pain, dizziness, anemia, and other blood disorders. Lasix (Furosemide) should be avoided by patients with kidney failure. The sudden loss of fluid and electrolytes can cause deterioration in kidney function that may result in the patient going into a coma. Similarly, this medicine may also cause reduced levels of potassium and magnesium in the blood. The reduced levels may go on to contribute heart rhythm problems. It is also known that the active ingredient in this drug reduces the kidney`s ability to excrete lithium. The continued failure to excrete lithium can result in lithium toxicity.